Draw a copy of a friendly creature. Brilliant Experiment is an epic Intelligence action card. It is part of the Core Set. 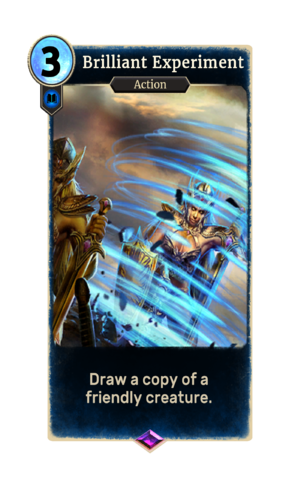 The card's art depicts a Golden Saint being summoned. This page was last modified on 24 September 2018, at 22:27.